Louise Embry, 80, passed away January 27, 2019. A visitation will be held from 1-2 PM, service 2 PM, on Saturday, February 2, at Johnson County Funeral Chapel, 11200 Metcalf Ave, Overland Park, KS 66210. Louise was born December 11, 1938 in Kansas City, MO to Howard and Myra Batson. She had two older brothers, Harris and Bill. Prior to her marriage to Gene Embry on January 21, 1961, Louise was a bookkeeper for Betty Rose Suits and Coats. After their marriage, she became the domestic engineer of the home, caring for her husband and daughter, Tammy. 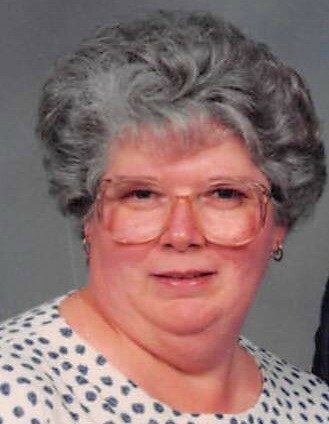 Louise was an active member of Edwardsville Christian Church. She was an animal lover with numerous cats and dogs in her lifetime. She enjoyed traveling with her husband throughout their 58 years of marriage. She was a loving grandmother to her four grandchildren and three great-grandchildren. She was deeply loved by her husband, daughter, grandchildren, and many relatives and friends. Louise was preceded in death by her parents; brothers; and grandson, Justin Smith. She is survived by her husband, Gene; daughter, Tammy; grandsons, Adam and Cody; granddaughter, Carlyn Hannan; two great-granddaughters; and one great grandson; along with numerous nieces and nephews.